Intensely busy, intellectually engaged and emotionally very tense, Turkey is in the midst of two seemingly parallel and synched reform processes: a new constitution and peace talks with the outlawed Kurdistan Workers’ Party (PKK). The objective is obvious. To end a harsh, repressive Republican rule with a new social contract, which many hope will bring the country closer to the membership of the European Union (EU), and a “farewell to arms”, by closing a destructive chapter of bloodshed and vendetta, caused by Kurdish uprising, which has lasted almost 30 years. These processes are vital, not only for Turkey, but also for its key allies, in the EU, NATO — and G20. The success will mark a new era, with the family of democracies being enriched by a powerful, culturally diverse, economically flourishing country. But, the state of affairs has a downside. As a clear paradox to the nature of the two “grand” processes, there is a growing anxiety and frustration on the fields of freedom of expression and a free, independent media. Without these two basic freedoms, as many argue, chances for lasting settlements on a social contract and peace will remain low. Freedoms are tightly squeezed in a vicious triangle. Arrogance of administrative power; restrictive spirit and imposition of a “moral majority”, and a vast, deep-rooted “culture of intolerance”, the latter of which is spread across the political and social divides of Turkish society. 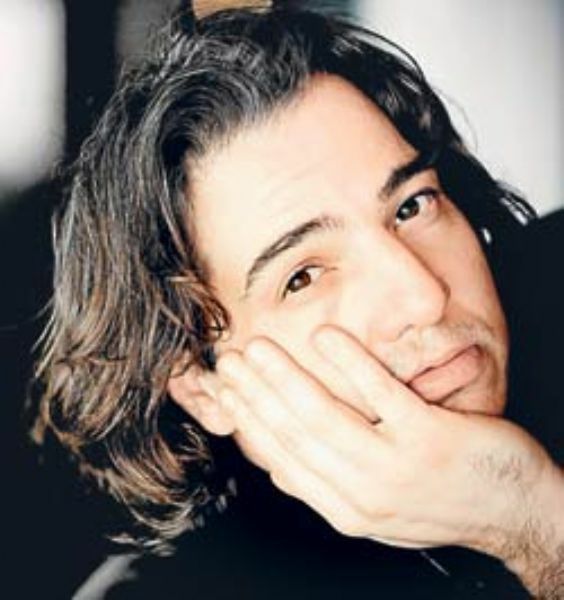 The 10-month prison sentence handed over to world-famous claissical pianist, Fazıl Say, for in a series of tweets last year having “denigrated the values of a part of the public” is only a new symptom of the ongoing interaction in that “triangle” of Turkey, keeping it in shackles. No matter how strongly his defence lawyer have argued that he was retweeting lines, reciting from a 13th-century Sufi poet of Persia, the great Omar Khayyam, the judges were not convinced. The sentence has since been suspended, in a condition that Say may not make a similar offense in the next five years. The verdict is, to say the least, very unfortunate. It follows an intense domestic debate and series of international reports on freedom of expression, and a media feeling the weight of new “moral values” — dominated by the Sunnite — failing often to challenge them from minority points of view. No doubt, it will have a long-lasting and venomous effect on the perceptions of where Turkey is heading, and what there is to do with its sticky “culture of intolerance” that has defined its past as well as the present. On the political and legal level, “The Say Case” immediately evokes a “sigh!-the-same-movie-again!” effect. It shows how little, if anything, has changed in Turkey’s legal domain since April 1998, when Turkey’s Prime Minister Recep Tayyip Erdoğan, then mayor of İstanbul, was given a 10-month prison sentence for reciting a poem at an election rally in the town of Siirt. He was charged by a special semi-military court and found guilty of “incitement to hatred”. Because of the conviction, Erdoğan was forced to resign from his post as mayor, and he completed his shortened sentence on July 24, 1999, with a temporary ban from politics. In the very essence, there is absolutely nothing that distinguishes both verdicts, with 15 years in between, from each other. Both he and Say were sentenced by the same article of the Penal Code. Erdoğan was sentenced under Article # 312, which was converted by his party with the backing of the opposition to the new Turkish Penal Code (TCK), as Article # 216, during the Justice and Development Party (AKP) rule in 2004. It was then defended as a provision to combat hate speech, but was never interpreted by the prosecutors as such. Both 312 and 216 were implemented to defend the views of the establishment and the majority, against the vulnerable social groups, never vice versa. A lawyer who had defended Erdoğan the Mayor in 1998, Faik Işık, was harsh in his criticism of those against Say, defending the pianist’s tweets in the name of free speech. Without a doubt, Article # 216 must be lifted and replaced by a clear rule criminalizing hate speech. In clear offenses, (symbolic) fines must replace imprisonment. But it does not mean that the limits and, if necessary, forms of punishment (fines or prison) for ridiculing religion and sacred beliefs should not be debated. Say’s case has to do that, simply because it looks to me as if it is somewhere in between the European Court of Human Rights’ (ECtHR) famous Handyside v. United Kingdom ruling and the Otto-Preminger-Institut v. Austria case. Did Fazıl Say insult a religion, a religious value, or its believers? I am sure legal and free speech experts will have much to say about that. Asked about his reaction to prison verdicts on the pianist, Erdoğan was blunt. “Do not bother us with those!” he cut short, when reporters sounded insistent. t only the victims change, and as they become hegemonious, their insensitivity shows. Culture of intolerance does just that to you. Turkey’s pursuit for freedom of speech is through a long and winding road indeed.